One of the most difficult processed foods for me to give up for the sake of an anti-inflammatory diet has been… crackers. You wouldn’t expect the humble cracker to inspire this sort of unfailing devotion, but it turns out crackers are a go-to snack that is easy to take for granted until it’s not available to you anymore. With a smear of nut butter and dollop of jam, a little cheese if you do the dairy thing, a slice of pickled herring, or a bit of dip or hummus, crackers are elevated to craving-worthy status. 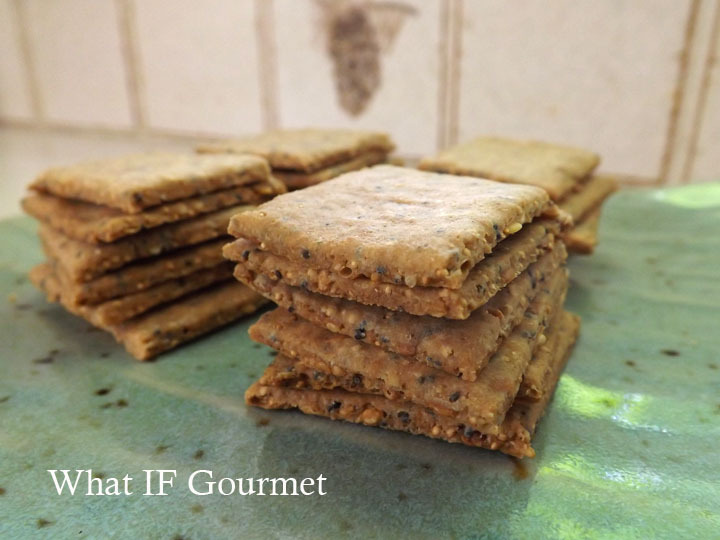 Even on their own, crackers are a packable snack for travel or just the average work day. 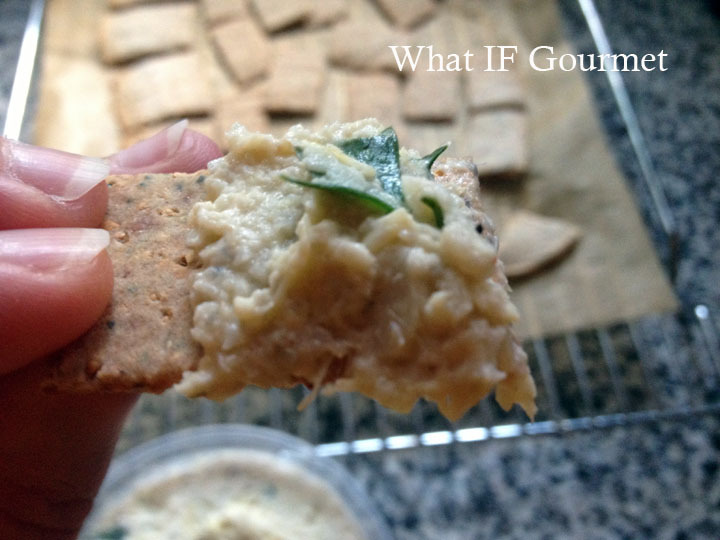 Gluten-free multi-seed crackers with lemony artichoke dip. Commercially produced crackers almost always contain too much sugar and salt, not to mention refined oils, preservatives, and GMOs — all of which are incompatible with my anti-inflammatory diet. 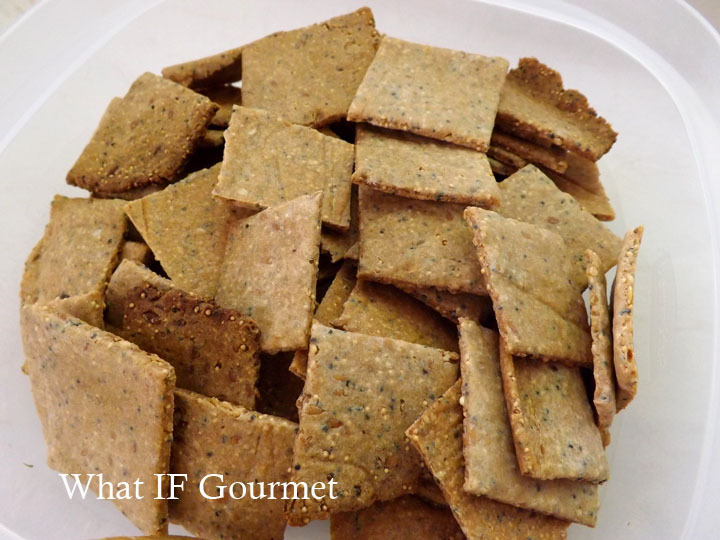 Luckily, crackers are a cinch to make at home. This recipe takes about 30 minutes, from start to snacking. 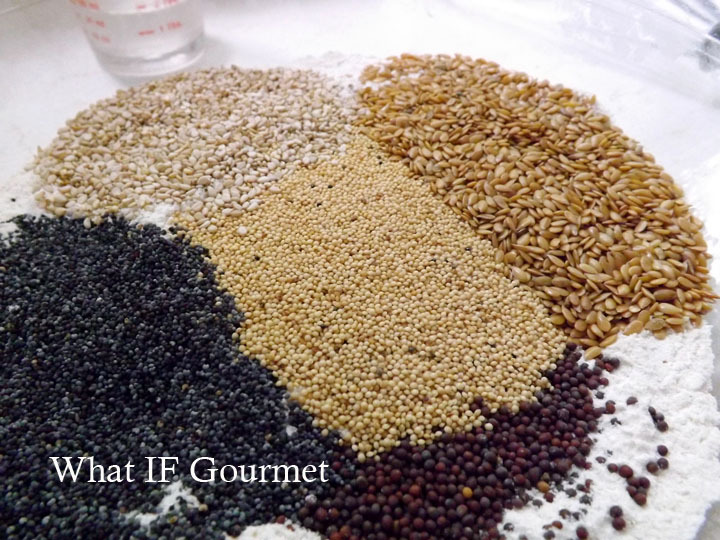 It contains whole grain, gluten-free flours, a little tapioca starch for lightness and a good crunch, nutrient-dense seeds, and coconut oil. These crackers are flavorful all on their own, but not so assertive that they clash with toppings and dips. I intentionally made them nut free, since I use nuts in so many other parts of my diet. To make homemade crackers even more easily, you can measure out a recipe’s worth of dry ingredients to store in mason jars or zip-lock baggies, so whenever the craving hits, all you have to do is add water and oil, roll out, and bake. I like my crackers to look sort of rustic, so I just eyeball the size. I score them before baking with a pizza cutter and then break them apart by hand after they’ve cooled. They usually end up between 1″ and 1 1/2″ square. 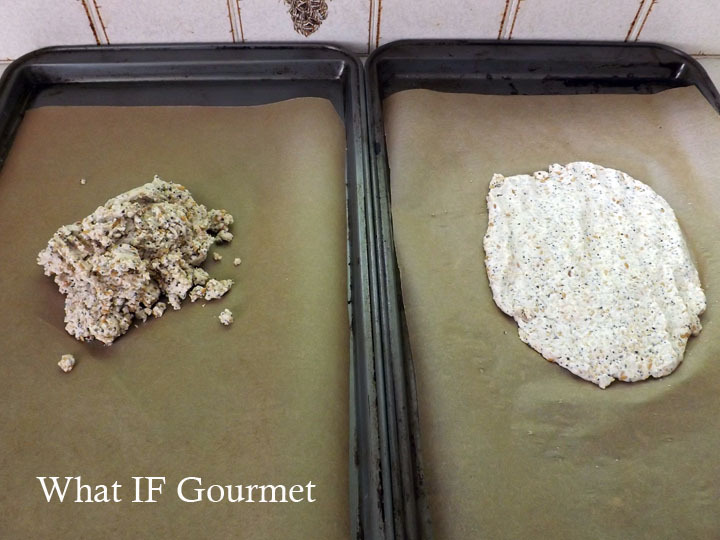 Preheat oven to 450 F. Line two baking sheets with parchment paper. 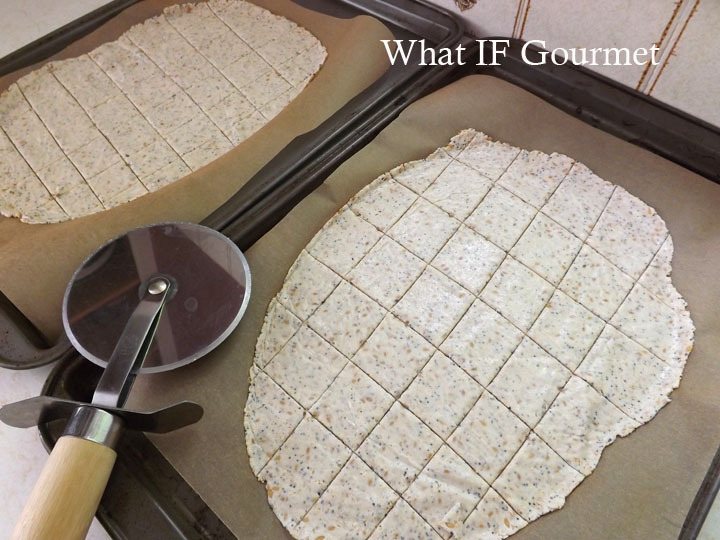 Cut an additional two sheets of parchment paper. Stir together the dry ingredients in a medium-sized bowl. Combine the coconut oil and water, and add all at once to the dry mixture. Stir vigorously with a fork until combined. The mixture should resemble wet sand. If the mixture seems too dry, add an additional 1 to 2 tsp water. The mixture should hold together when you pinch it, but not be as wet as a batter. Divide the mixture between the two baking sheets. Using a wet hand, pat the dough into an oblong about 1/2″ thick. 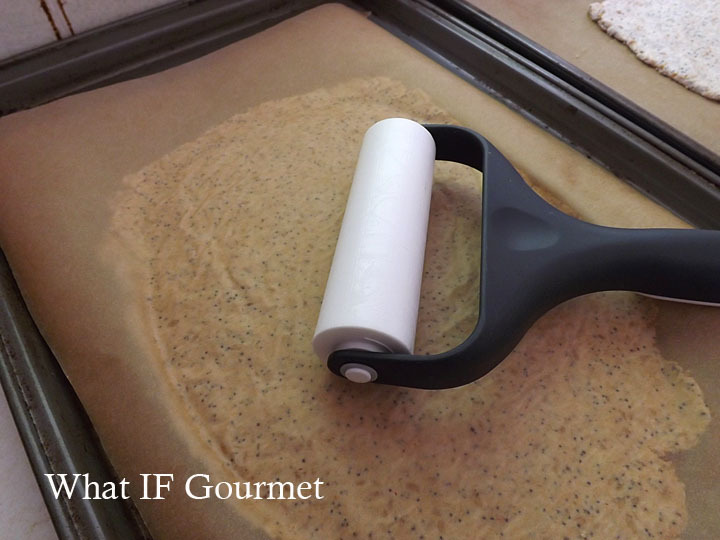 Lay a sheet of parchment paper on top of each oblong and roll out with a rolling pin or pastry brayer to about 1/8″ to 1/16″, depending on how thick you like your crackers. Peel away the top layer of parchment paper. Score the dough with a knife or pizza cutter. Bake for 15 to 20 minutes, until golden brown. 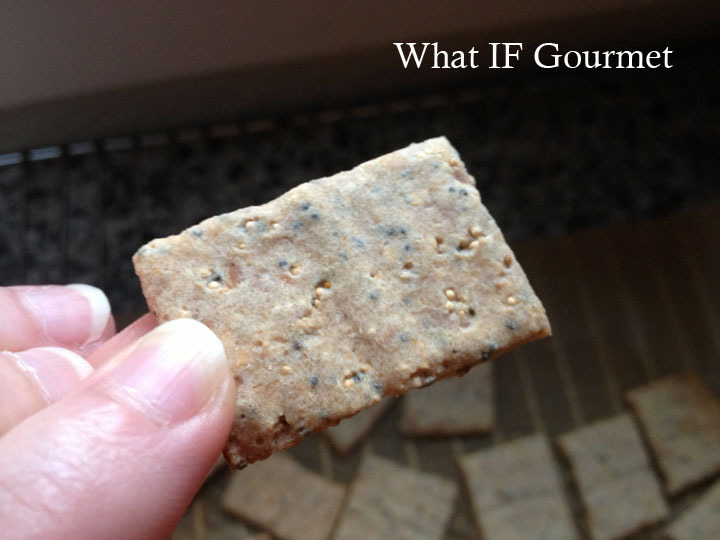 (Slightly overbaking is better than slightly underbaking for this recipe, if you want your crackers properly crunchy.) Let cool on baking trays set on top of wire racks and then snap the crackers along the scored lines. Store in an airtight container at room temperature. Makes about 5 dozen crackers. 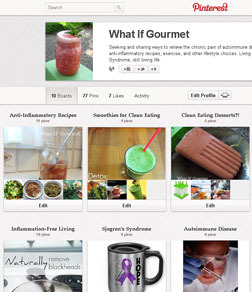 This entry was posted in Anti-Inflammatory Ingredients, Appetizers, coconut oil (virgin/ unrefined), Dairy-free, Gluten-free, Nut-free, Recipes, seeds, Snacks, Vegan, Vegetarian. Bookmark the permalink. 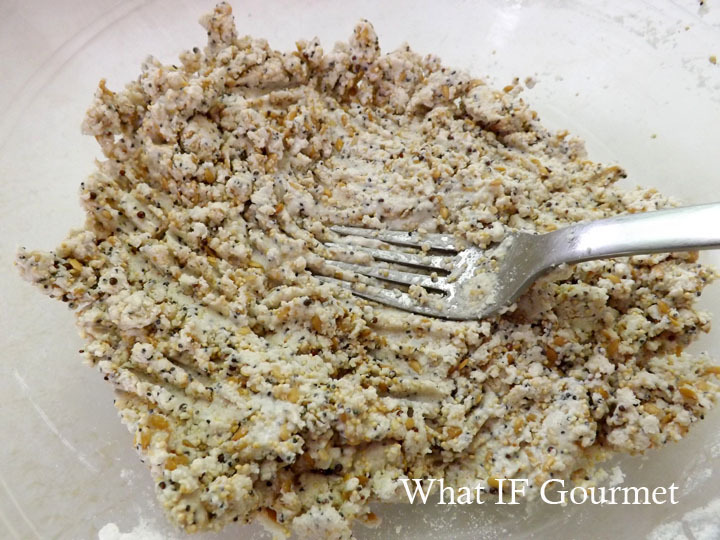 I’ve never tried it with yellow mustard seeds — you’ll have to experiment and let me know!